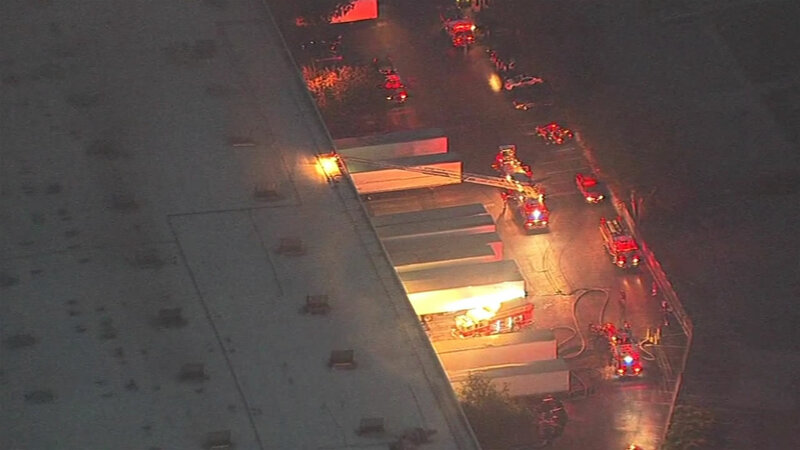 SAN LEANDRO, Calif. (KGO) -- Firefighters have contained a one-alarm fire at a warehouse in San Leandro. The fire started at 5:25 p.m. inside a commercial building on the 2400 block of Polvorosa Avenue. It's unclear as to what business is on fire, but Sky7 HD, which was flying over the fire, showed 18-wheeler trailers backed up to it. A lot of smoke was coming out of vents in the roof. Nearly a dozen fire trucks are at the scene. The fire was knocked down by firefighters at 6:24 p.m.